Jefferson M. Fish (PhD, Columbia) is Professor Emeritus of Psychology at St. John's University, New York, where he served as Department Chair and also as Director of the PhD Program in Clinical Psychology. His specialties are cross-cultural psychology and clinical psychology. Within cross-cultural psychology his writings have dealt mainly with varying cultural conceptions of “race,” the “race”-IQ debate, and Brazil; and he has been a Fulbright scholar in Brazil and China. 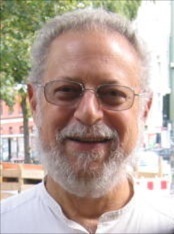 Within clinical psychology, he has written widely on psychotherapy as a social influence process, on social and cultural factors in therapy, and on brief therapy—including brief behavioral, cognitive, strategic, systemic, and solution focused therapies, and on the use of hypnosis in brief therapy. He has also been active in the field of drug policy, and his publications include international and American sub-cultural perspectives on the issue. Dr. Fish is the author or editor of twelve books, and the author of more than a hundred journal articles, book chapters, and other works. He has served on the editorial boards of eight journals in the United States, Brazil, and India, and has been a consulting editor or invited reviewer for eight others. Dr. Fish was a Fulbright Scholar in Brazil and China; and his work has received financial support from a variety of public and private sources in the United States and Brazil. Since retiring from academia, he has been writing for a broader audience. His Psychology Today blog is Looking in the Cultural Mirror. Dr. Fish is a past Treasurer of the International Council of Psychologists, a past Chair of the Psychology Section of the New York Academy of Sciences, a past President of the Division of Academic Psychology of the New York State Psychological Association, a past Member of the Board of Directors of the American Board of Family Psychology, a former Member of the Board of Directors and of the Executive Committee of Partnership for Responsible Drug Information, and former Adjunct Coordinator of the Committee on Drugs and the Law of the Association of the Bar of the City of New York. He is a Fellow of the American Psychological Association, of the Association for Psychological Science, and of the American Association of Applied and Preventive Psychology. He has attained American Board of Professional Psychology Diplomate status in Clinical Psychology and in Family Psychology. Dr. Fish is married to the anthropologist Dolores Newton (PhD, Harvard; Professor Emerita at Stony Brook University) who studies the Krikati and related tribes of Brazilian Indians. He spent two years as a Visiting Professor in Brazil, during which time he lived for a month with the Krikati; and he has returned to Brazil numerous times. He speaks English, Portuguese, French, Spanish, and German. Fish, J. M. (1976). Dimensões da empatia terapêutica. Campinas, São Paulo, Brazil: Pontifícia Universidade Católica de Campinas. Fish, J. M. (1970). Empathy and the reported emotional experiences of beginning psychotherapists. Journal of Consulting and Clinical Psychology, 35, 64-69. Fish, J. M. (1973). Dissolution of a fused identity in one therapeutic session: A case study. Journal of Consulting and Clinical Psychology, 41, 462-465. Fish, J. M., Monte Serrat, S. and Tormena Elias, M. E. (1989). Thalidomide adolescents and preadolescents in Brazil. In L. L. Adler (Ed.) Cross-cultural research in human development: Life span perspectives. New York: Praeger. Pp.85-92. Fish, J. M. (1992). Discontinuous change. Behavior and Social Issues, 2(1), 59-70. Fish, J. M. (1995). Why psychologists should learn some anthropology. American Psychologist, 50(1), 44-45. Fish, J. M. (1995). Does problem behavior just happen? Does it matter? Behavior and Social Issues, 5(1), 3-12. Fish, J. M. (1995). Solution focused therapy in global perspective. World Psychology, 1(2), 43-67. Fish, J. M. (1996). Prevention, solution focused therapy, and the illusion of mental disorders. Applied and Preventive Psychology, 5(1), 37-40. Fish, J. M. (1999). Mixed blood. In R. M. Levine and J. J. Crocitti (Eds.) The Brazil reader: History, culture, politics (pp. 391-394). Durham, NC: Duke University Press. Fish, J. M. (2000). What anthropology can do for psychology: Facing physics envy, ethnocentrism, and a belief in "race." American Anthropologist, 102(3), 552-563. Fish, J. M. (2005). Divided loyalties and the responsibility of social scientists. The Independent Review, 9 (3), 375-387. J. M. Fish (1997). Co-organizer with M. Palij: New York Academy of Sciences conference, "The Bell Curve" Reconsidered: Multidisciplinary Perspectives on Race and IQ. J. M. Fish (1997). Co-organizer with U. P. Gielen and J. G. Draguns: New York Academy of Sciences conference, Culture, Therapy and Healing. J. M. Fish (2000), chair of organizing committee: New York Academy of Sciences, New York Academy of Medicine, and Association of the Bar of the City of New York joint conference: Is our drug policy effective? Are there alternatives?